The new competitive battleground for business is customer experience. Your success hinges on ensuring every customer interaction is the best it can be, but for businesses undergoing digital transformations, that means developing comprehensive monitoring across a growing number of channels while gaining valuable insights into all aspects of the customer experience. To successfully deliver a five star experience you need insights that will allow you to optimize the complete buyer’s journey across web, mobile, and wearables and provide flawless operational performance. 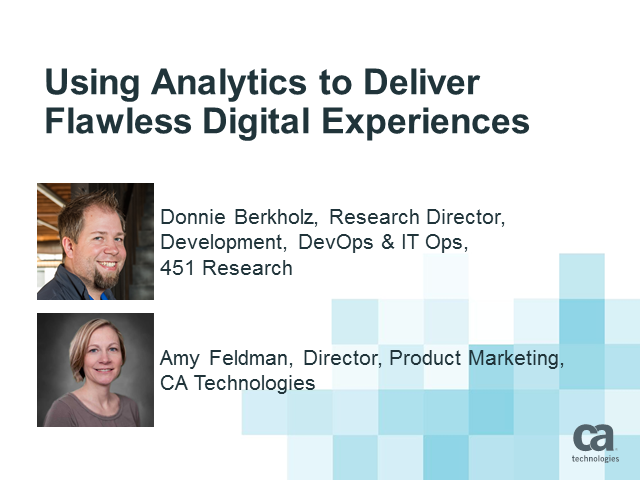 Join us for an exclusive webinar with Donnie Berkholz, Research Director from 451 Research to learn about the latest market trends, the importance of becoming a data-driven business and the need for analytics.